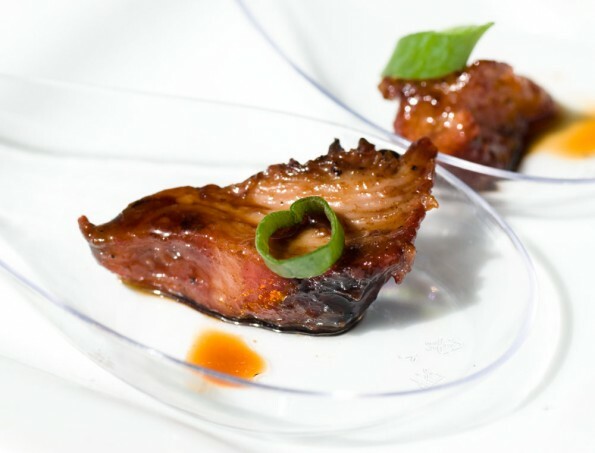 Devour Culinary Classic Tickets Now On Sale! 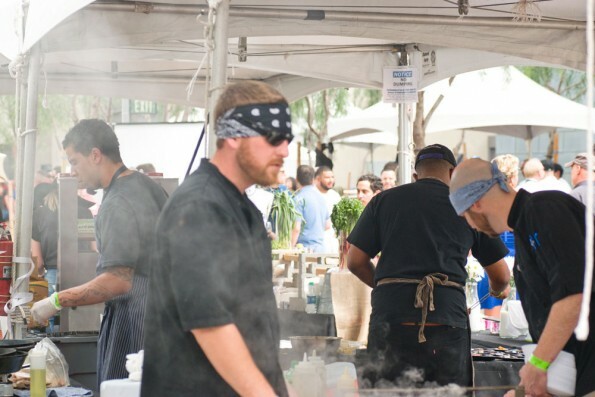 The Devour Culinary Classic, formerly known as the Devoured Culinary Classic, is the region’s premier week long annual culinary celebration hosted by Devour Phoenix, Local First Arizona, Phoenix Art Museum, and Southern Arizona Arts & Cultural Alliance at several distinct venues in Phoenix, Arizona. The goal of the events are to showcase Arizona’s celebrity culinary talent as well as its fine food and drink producers and purveyors, all while furthering metro Phoenix as a dining destination worthy of international prestige. 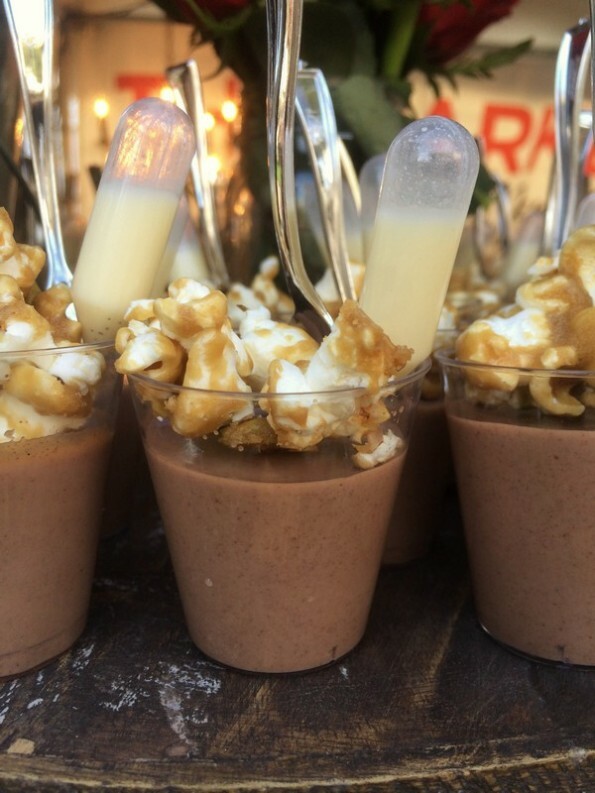 If you only go to one food event this year, this should be it! The Devour Culinary Classic continues to be named the leading and most-anticipated culinary event in the Phoenix area. Already this year, the Devour Culinary Classic was named Best Food Festival by Phoenix Magazine and Best Culinary Festival by Phoenix New Times, and also received the Good Neighbor Award from the Arizona Restaurant Association’s Foodist Awards. General Admission Tickets Are Now On Sale! Tickets for the general public will be available for sale on Cyber Monday, November 28, at devourphoenix.com/classic/. Ticket options include Single Day General Admission ($109), and Single Day VIP ($150). The Devour Excellence Awards – The premier of the Devour Excellence Awards will showcase Arizona’s culinary talent, featuring special guest judges Adam Erace (award-winning food writer and Food Network personality), Barbara Fenzl (host of Arizona PBS cooking shows and founder of Les Gourmettes Cooking School), Cheryl Alters Jamison (four-time James Beard award-winning cookbook author and host of Heating It Up on KVSF 101.5 and The Voice of Santa Fe Listen Live), Corby Kummer (James Beard award-winning author, Senior Editor of The Atlantic and Boston Magazine), and Carey Polis (web editor for Bon Appetit). Judges will be on site to determine and award four awards to 2017 participants: Excellence in Innovation, Excellence in Taste, Excellence in Presentation and Excellence in Distinction. Culinary Demonstrations and Workshops – Culinary demonstrations and taste workshops will be present at the Devour Culinary Classic this year, featuring select chefs and beverage experts showcasing their talents in collaboration with favorite Arizona food makers and their goods. A full lineup of demonstrations will be posted at devourphoenix.com/classic/. Exciting New Restaurants Invited to Participate – The Devour Culinary Classic has expanded our outreach efforts to include more of the new and diverse restaurants that have opened their doors in the last year. The Devour Culinary Classic will be an event that features many of the Valley’s most loved chefs and restaurants, but this year will also shine a light on younger chefs that are doing great things with food in our region. Confirmed new participants include Joe’s Midnight Run, a “culinary remix” restaurant from Michael Goldsmith, formerly of Lon’s at the Hermosa Inn; CRUjente Tacos, a new concept opened by Rich Hinojosa formerly of The Wigwam, Nico Heirloom Kitchen, Gio Osso of Virtu’s new concept; and Helio Basin Brewery, one of the newest additions to Phoenix’s craft beer scene that has been lauded for both its beer and food menus. A full list of participating restaurants will be added to devourphoenix.com/classic/ as they are confirmed and information is received. Expanded Local Foods Experience – Introduced at last year’s Devour Culinary Classic, the Local Foods Experience is a tool to highlight local food producers that many of the Devour chefs use on a regular basis, and put an emphasis on the importance of sourcing food locally. This year’s Devour Culinary Classic will see event integration of locally-produced, native, and heritage foods through the expansion of the Local Foods Experience. 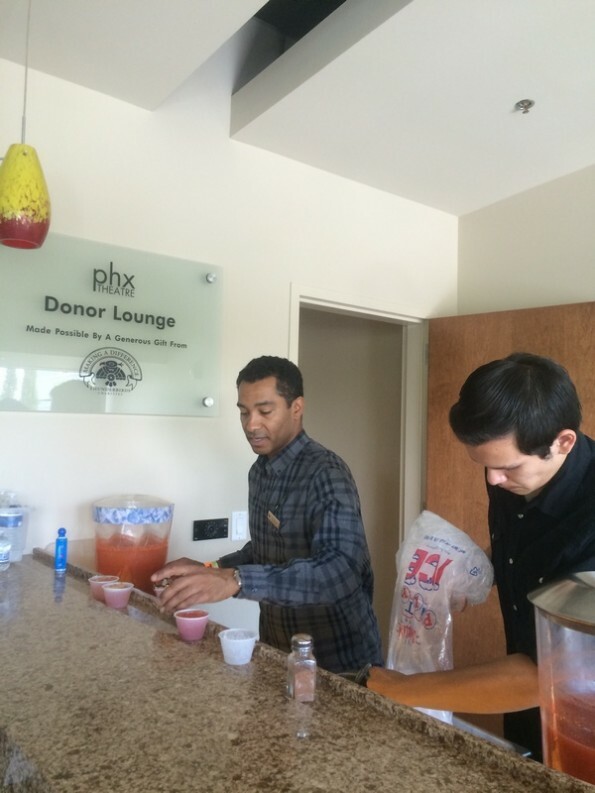 The Devour Phoenix Bartending Competition will kick off the week of events at 3:00 p.m. on Sunday, February 26, at DeSoto Central Market in Phoenix (915 N Central Ave, Phoenix, AZ 85004). Designed to celebrate Phoenix’s cocktail culture, bartenders from nine metro-Phoenix bars and restaurants armed with a selection of Arizona’s best locally distilled spirits convene for a mix-off of epic proportions. Participating bartenders will go head to head in a series of three rounds, shaking it to compete in the final, mystery basket round for the title of Arizona’s Star Bartender in 2017. Tickets will be $40 each and available for purchase at devourphoenix.com/classic/. The 7 Chef Singh Along is a culinary event organized by the Arizona Seven, a collection of top Valley chefs dedicated to raising awareness of our world-class culinary scene and working to bring the James Beard Award back to Arizona. The event will take place Wednesday, March 1, at 5:30 p.m. at Singh Farms’ new location in Tempe. At The Seven Chef Singh Along, this chef septet will feature Cullen Campbell (Crudo, Okra Cookhouse & Cocktails), Kelly Fletcher (El Chorro), Josh Hebert (Posh Improvisational Cuisine), Scott Holmes (Little Miss BBQ), Stephen Jones (the larder + the delta), Bernie Kantak (The Gladly, Citizen Public House) and Gio Osso (Virtù Honest Craft, Nico). During this family-style wine-paired dinner, each chef will prepare a single course that highlights both their distinctive style, and the bold flavors of Arizona. Each course will be paired with a fine Arizona wine from local producers. Tickets will be $160 each, which includes gratuity and tax, and will be available at devourphoenix.com/classic/. Palette to Palate will be held at 6:00 p.m. on Thursday, March 2 in Downtown Phoenix, a location will be announced when it is secured. The event blends the visual arts and culinary arts by pairing chefs and painters to interpret each other’s work for a show that is at once unique and insightful into the worlds of the two artists. The evening will feature Arizona wines and award winning chefs, paired with regional artists who will unveil new works at the event. A full lineup of participants will be announced at a later date. Tickets will be $40 each and available for purchase at devourphoenix.com/classic/. Local First Arizona Localists will have access to a $10 discount code for all tickets and packages for Devour Week pre-events. Those interested in Localistmembership can visit localfirstaz.com/localist. For additional information, please visit devourphoenix.com/classic/, or follow us on Instagram (@devourphoenix), Twitter (@devourphoenix) and Facebook.com/DevourPhoenix. The official event hashtag is #DevourPhoenix.